For more on Jed’s mini-archive of Meltzer letters, see David Meltzer Archive: A Partial Index. A small archive of letters to Maurice Girodias of Olympia Press from the likes of Henry Miller and William Burroughs popped up on Abebooks. Many of the letters are about Henry Miller lobbying for a Nobel Prize in the 1970s. I wonder what the Burroughs letter entails. In a previous column, I noted the rarity of high quality manuscripts of Burroughs material on the open market. Public institutions have for the most part snatched up all the good stuff. I think the same holds true for Burroughs’ letters. The recent sale of the Robert Jackson collection to the New York Public Library highlights the active role of institutions in gathering this material. Jackson’s stash included hundreds of letters including several to crucial figures like Brion Gysin and Timothy Leary. These letters should prove a goldmine for scholars and for everyday readers as well, as Oliver Harris’ collected letters from 1945-1959 demonstrated. I find myself returning again and again to this book, not just for research purposes but for pure enjoyment. I place it with Naked Lunch in terms of reading pleasure. As Oliver Harris has shown in books and articles, letter writing was essential to Burroughs’ creative process. Let’s keep our collective fingers crossed for the second volume of letters. By and large, Burroughs letters (to and from) rarely come to market. Those that do are usually short notes, many times on a postcard. Such notes usually respond to fans requesting signatures or likewise reaching out to their idol. Any correspondence to another literary or artistic figure fetches a pretty penny. A brief postcard to Herbert Huncke is currently available for almost $1000. In most cases, the available Burroughs correspondence rarely allows a glimpse into Burroughs as a private individual or as a working writer. That is the joy of the collected letters. There are exceptions. Ken Lopez possesses an archive of material, including letters, relating the creative partnership of S. Clay Wilson and Burroughs. 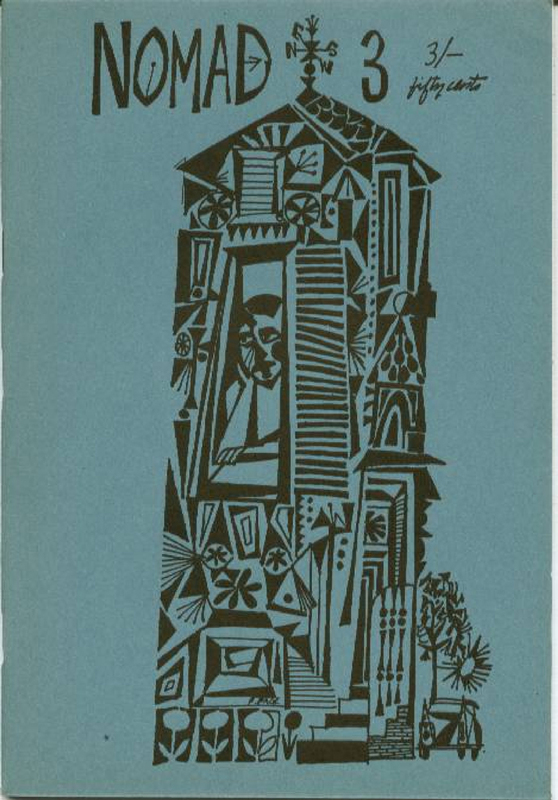 Wilson worked on the cover art for the German edition of The Wild Boys and Cities of the Red Night. 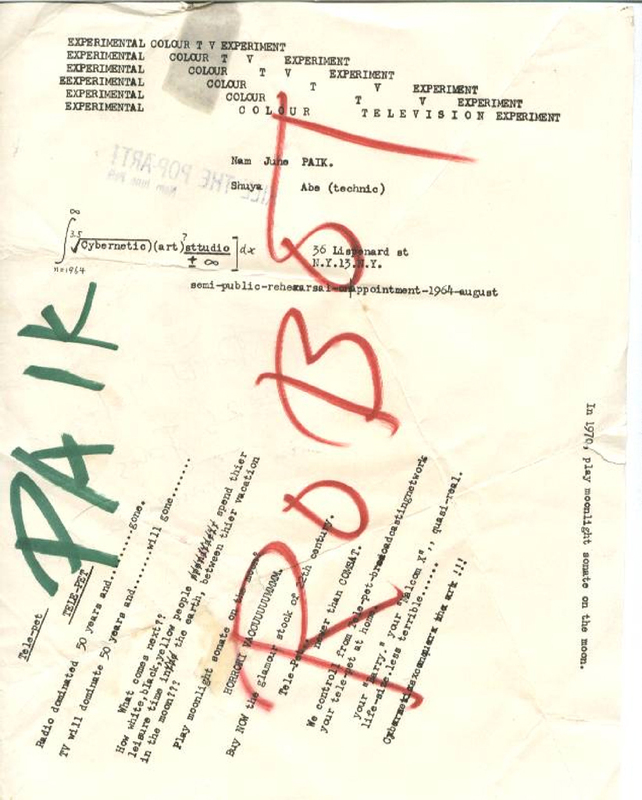 The archive features goodies from 1979-1991, a period noted for Burroughs’ own explorations in visual art. Per usual with late correspondence, Burroughs often uses a postcard. 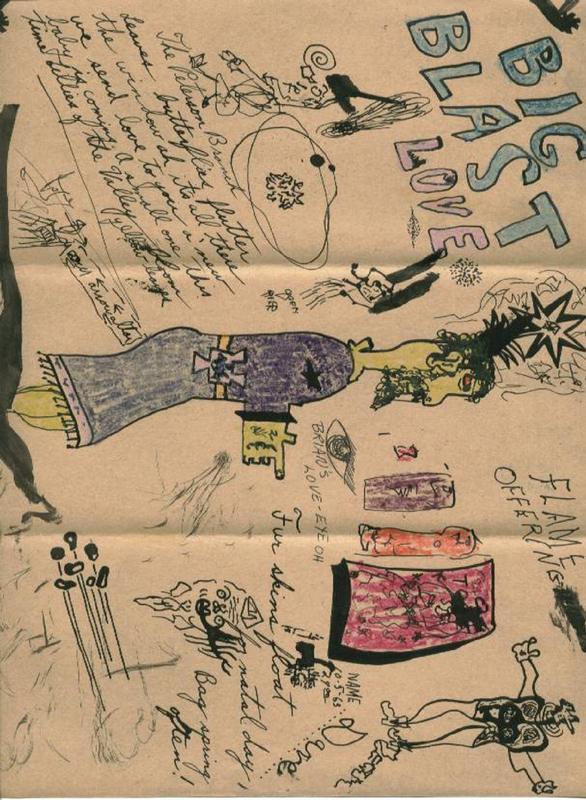 Not surprisingly, one has to pay for this peek into the late Burroughs’ creative life. Only $17,500. Given their scarcity, price, and the generally banal nature of the available material, I do not own a single original Burroughs letter. A letter to Ginsberg from the 1950s would be a crowning jewel to any Burroughs collector. However, a cache of correspondence to David Meltzer from the mid-1960s fell into my lap several years ago. Shifting through this material highlights just how fun and what a learning experience letters can be. This mini-archive sat in my bookshelf for a couple of years untouched until January of this year when I purchased Wallace Berman and the Semina Circle. 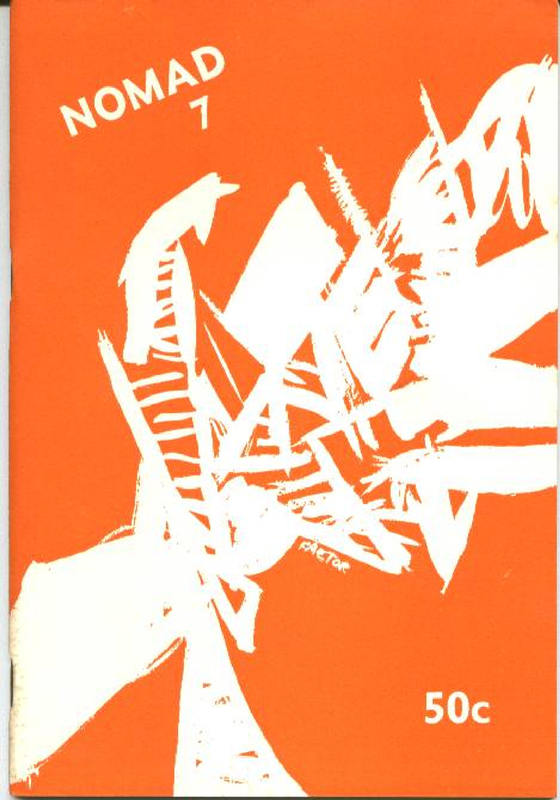 This book accompanied an exhibit relating to the literature and art surrounding Berman until his untimely death in 1976. This exhibit is currently touring the West Coast and will make its way to New York City (New York University to be exact) in January 2007. A complete run of Semina Magazine represents the Holy Grail for me as a collector. An early fragment of Naked Lunch (Pantapon Rose) appeared in Semina 4. As I have mentioned before, Semina is the epitome of the little magazine as art object. David Meltzer appeared in Semina as well. In fact, the entire issue of Semina 6 features Meltzer’s The Clown. Unlike Burroughs, Meltzer was an intimate member of the Berman Circle. He published a few books including Luna with Black Sparrow. In the late 1960s, he wrote a series of avant garde pornographic novels for Essex House. At the same time, he fronted the psychedelic band Serpent Power. In 2004, Meltzer published Beat Thing. He also edited two collections of valuable interviews entitled San Francisco Poets and San Francisco Beat. A collection of Meltzer’s papers are at Washington University. Needless to say, I returned to my collection of letters. I made a rough catalog of the archive and found a treasure trove of material about the 1960s California counterculture. There were a few letters and art work from George Herms, a postcard to mail art pioneer Ray Johnson, a letter from Sol Hurok on San Francisco Mime Troupe stationary, and a poem from (I think) the recently passed artist Nam June Paik. In addition to a few Herms letters and artwork, the highpoint of the collection are several letters from Aya Tarlow (Idell). 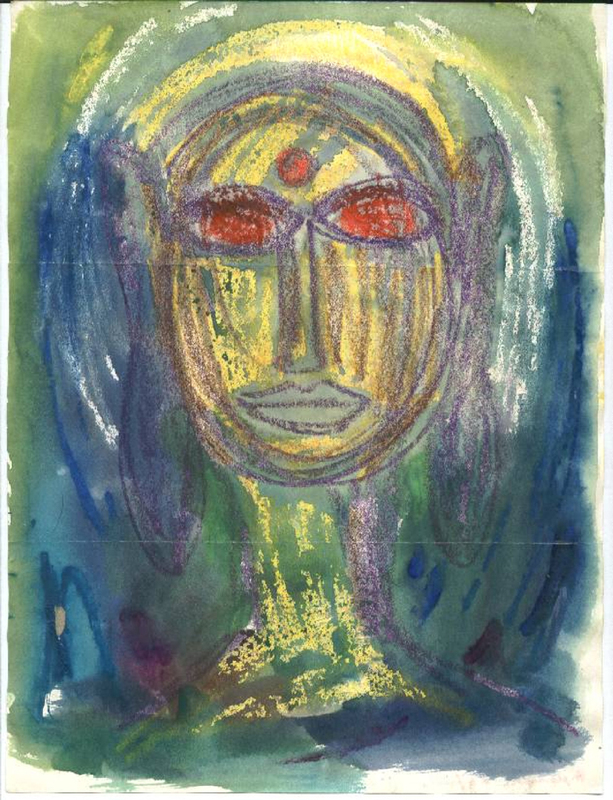 Aya is featured in Semina Culture, and the letters provide insight into the struggles of being a woman and an artist in California in the 1960s. Aya and Meltzer corresponded for years and remain friends to this day. Tarlow’s papers are at University of California at Berkeley. Of particular interest to me was a letter from Anthony Linick. 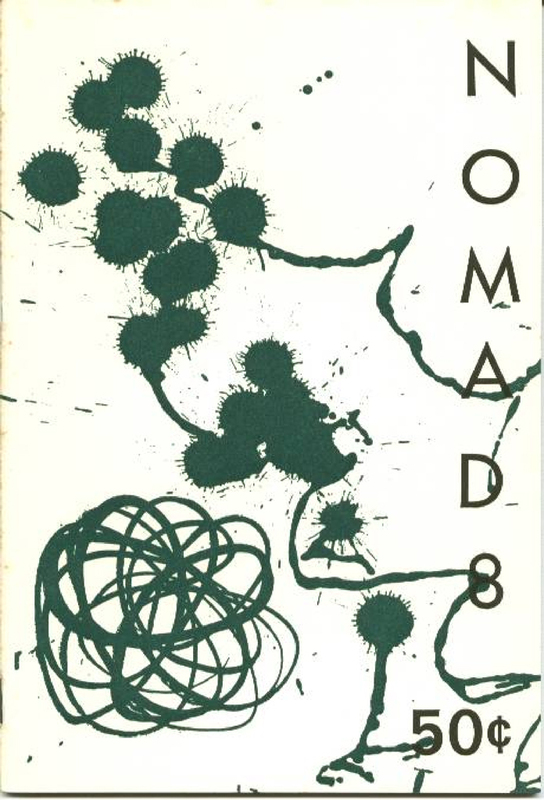 Linick along with Donald Factor edited Nomad from 1959-1962. Nomad was not featured in Steve Clay’s Secret Location on the Lower East Side and I can find little information on it. 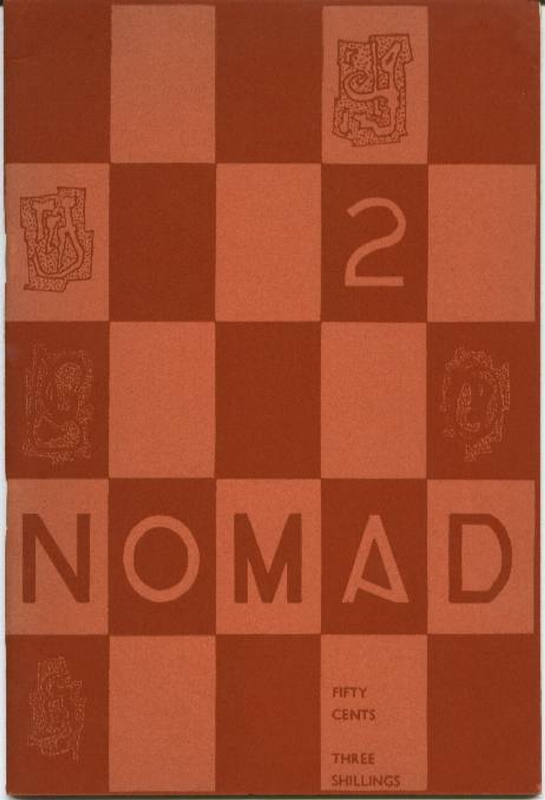 On the collectible market, Nomad 5/6 (The Manifesto Issue) is by far the most common. Burroughs appears in that issue along with Corso, Brion Gysin and Sinclair Beiles. “Open Letter to Life Magazine” comes from Minutes to Go. 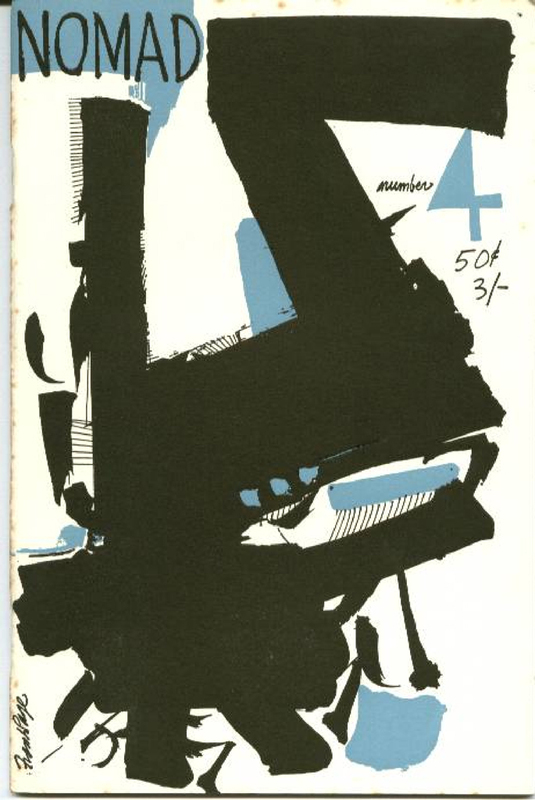 Published in 1960, Nomad 5/6 is an early Burroughs magazine appearance. 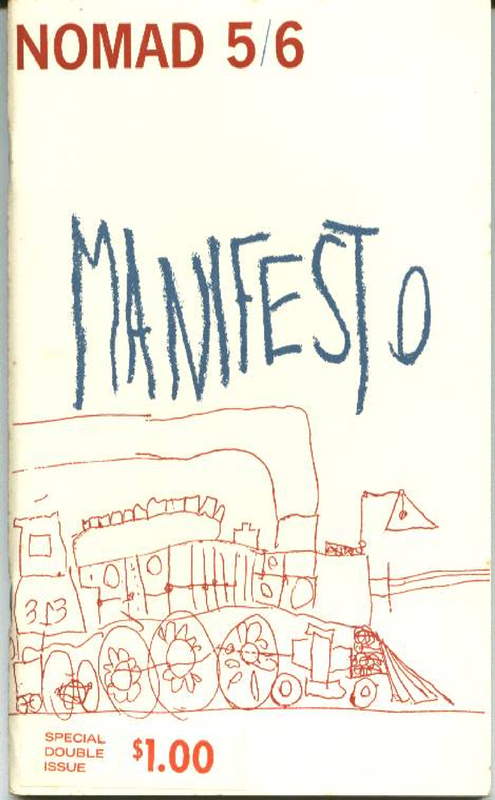 Bukowski also contributes to this issue. Again this is an early appearance coming in the same year as Bukowski’s first book of poetry: Flower, Fist and Bestial Wail. Bukowski also graces Nomad 1 with four poems. 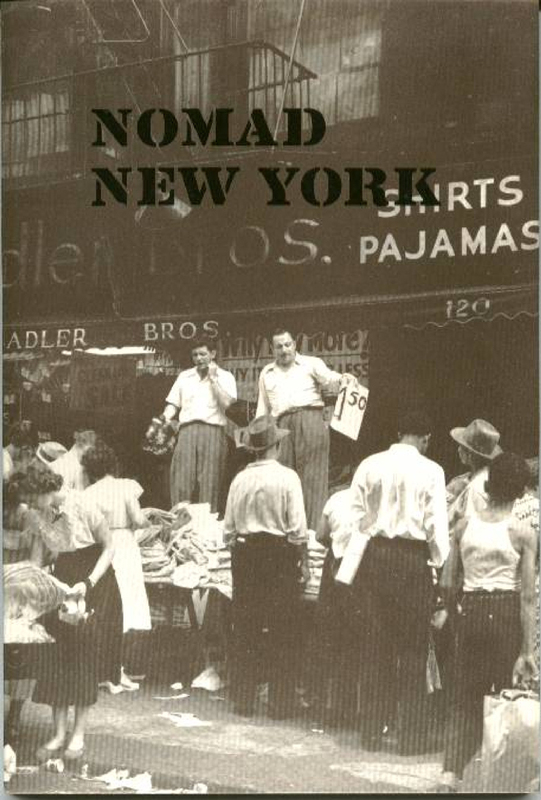 In the later issues, Nomad features several New American poets from the Donald Allen anthology. The last issue, Nomad New York, is the strongest of the bunch concentrating on the New York avant garde. In fact, the introduction of that issue mentions the Allen anthology as well as Corinth / Totem Press, Hawk’s Well Press, and a host of important little magazines. 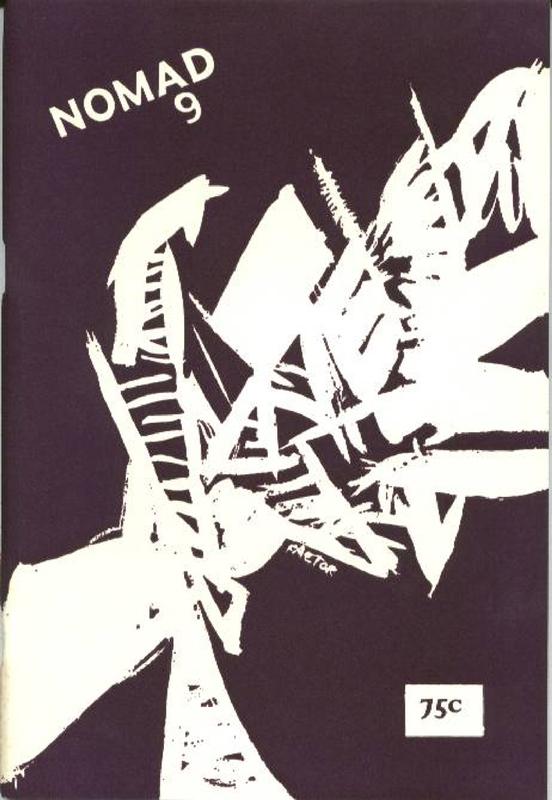 In “In Regards to this Selection of Verse, or Every Painter Should Have His Poet,” John Bernard Myers coined the term “New York School” to describe Frank O’Hara, John Ashbery, Kenneth Koch, Barbara Guest, Bill Berkson and others. The magazine also includes work from the emerging Pop Art including Jim Dine, Roy Lichtenstein, and Claes Oldenburg. The issue is a wonderful time capsule of the first generation New York School as well as the newly anthologized New American Poets. In his letter to David Meltzer, Linick hopes Meltzer will answer some questions for a projected dissertation and book project on the underground with a focus on little magazines. I could be wrong but I don’t think the book was ever published but it would have been a wonderful read and a wonderful resource. 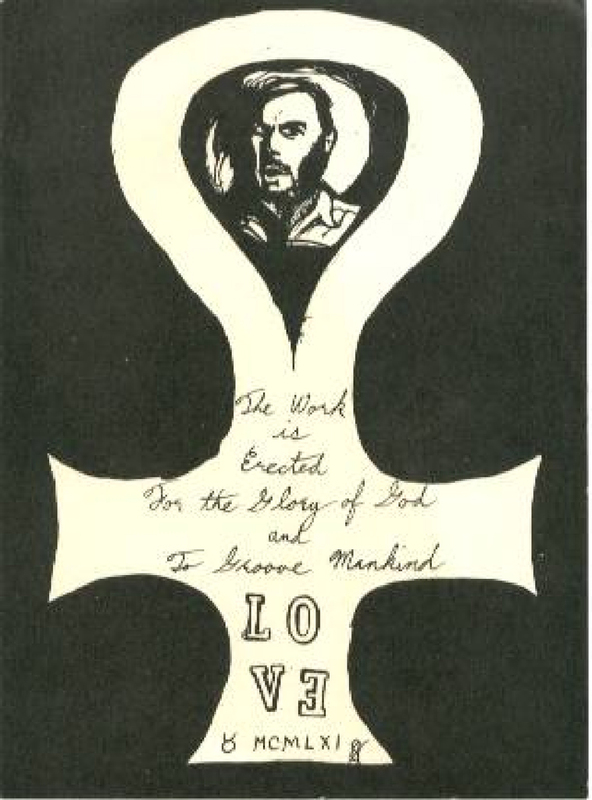 Linick’s letter was written in 1963, one year after the last issue of Nomad. I assume Linick went to grad school and discontinued the little magazine. But I don’t know, so consider this column another form of that letter. Any information on the literary and artistic scene described in these letters would be appreciated. Written by Jed Birmingham and published by RealityStudio on 20 November 2006. FYI: Anthony Linick, my brother-in-law, is alive and well and living in London. 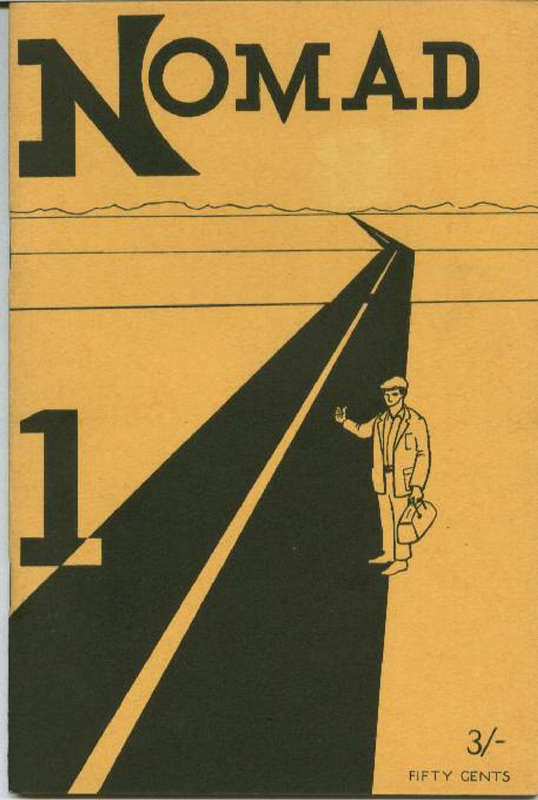 After Nomad ceased publication he became an academic who wrote his PhD dissertation (unpublished) on the small magazines. He has in started writing, publishing several books, but none on the literary avant garde. I have prepared a Wikipedia entry on him and am considering preparing one on Nomad. 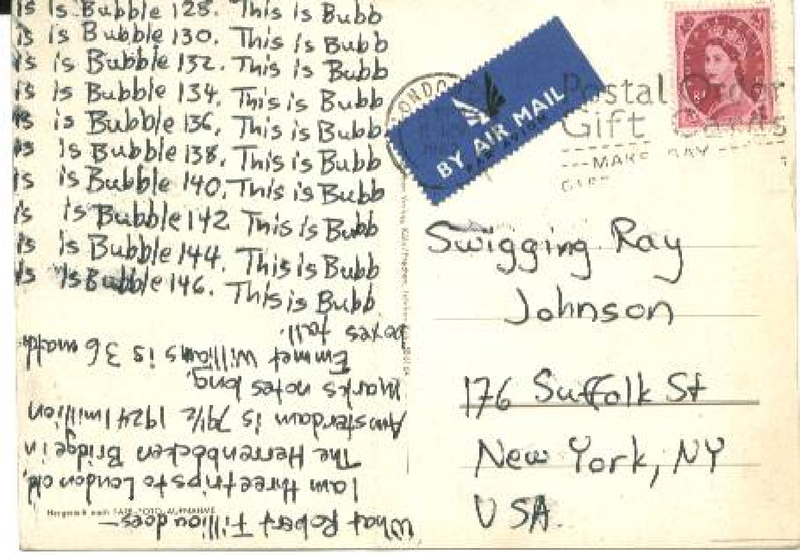 I am interested in what you said about Ray Johnson being written to by George Herms and the postcard to Swiggin Ray… is that the card you meant? I am a biographer of Ray Johnson and interested to speak with you about this and other topics. Thanks. Could you write to me?